You can use whiteboard messages to give some information to your translators. 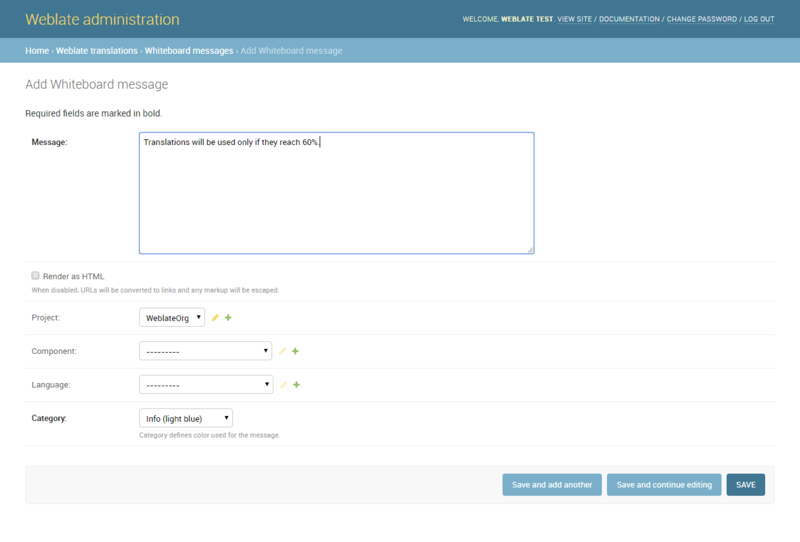 The message can be site-wide or targeted to a translation component or language. This can be useful for various things from announcing the purpose of the website to specifying targets for translations. Shown on dashboard (landing page). Shown on project, all its components and translations. Shown on component and all its translations. Shown on language overview and all translations in this language. © Copyright 2012 - 2018 Michal Čihař Revision 3df1f5ea.